Fundraising is a substantial part of building a sustainable project, and we need board members who are skilled fundraisers and or experienced marketers. We are developing a new model of care and style of living. The model addresses many societal issues, including those faced by frail elders and families with young children living at low socioeconomic status, and a great deal more. Stable housing for the families of low-income wage earners, combatting the loneliness and depression that is rampant for all age groups, Hope & a Future provides diverse, intergenerational connections to vulnerable populations. We need your help to describe our culture in ways people can relate too so that we can spread the word and raise money. 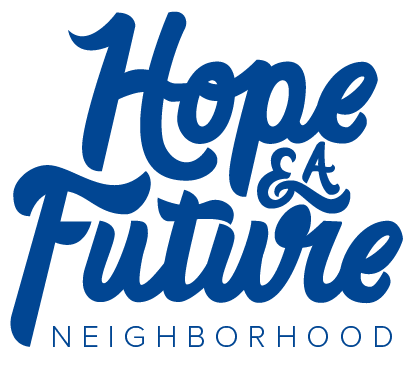 Hope & A Future is building a staffed intergenerational neighborhood where young and old can use their strengths to help serve each other's needs. We call our model a TIIN (Therapeutic, Interactive, Intergenerational Neighborhood). Phase I of our TIIN model was initiated in November of 2012 and includes a licensed adult family home for people with advanced age, developmental disabilities, and live-in staff. Live-in staff gives our residents a real sense of a family of friends and a stable team. Staff gain a home and the support of each other. We promote meaningful relationships between young and old, empowering individuals to serve and strengthen one another in a diverse, faith-based, green community, on the west side of Madison. We currently run an Adult Family Home that is sustainable and replicable. We promote music, art, and gardening as creative and social outlets for people of all ages and abilities. By taking advantage of our low-density setting, which preserves and integrates outdoor spaces, we encourage residents to take pride in where they live by participating in volunteerism. Hope & a Future believes people need to help as much as they need to be helped. We facilitate a culture of giving that includes volunteerism and healthy interdependence among resident and non-resident community members.